Anyone taking driving lessons in London? If you are, we think you might have it harder than most. According to a study by Holiday Auto’s (a car rental agency) London is the ninth worst city to explore on four wheels. Speeding is the main danger with thousands of speeding fines being handed out every month. We’d also like to highlight the congestion charge! Don’t start making excuses just yet though, it could be worse. Drivers in Bangkok have to put up with some of the most congested roads in the world and one way systems that actually change their direction depending on the time of day. Then there’s Paris which is probably best avoided if you’re not a fan of busy, narrow streets and a roundabout which doesn’t see the need to mark out lanes! 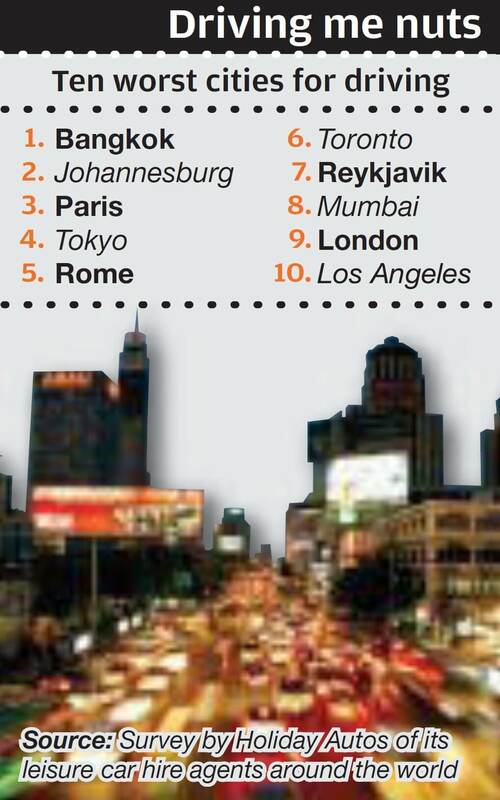 Check out the top ten worst driving cities in the image (right).